Claypotts, Brewlands Estate in Glenisla, Blairgowrie sleeps 6 people. Sitting room with wood-burning stove. Spacious modern farmhouse-style kitchen/dining-room. Double bedroom with TV and DVD. Bathroom/W.C. with over-bath shower. First floor: Two twin-bedded rooms, one with en-suite shower room/W.C. with power shower. Bathroom/W.C. with over-bath shower. Shooting, stalking, loch and river fishing. Rowing boats and rod hire. Outdoors hot tub by arrangement for all properties (refs SYH, UNH [Clover Cottage], SDDB [Brewlands Cottage], SPPX [Croft End Cottage]), available all year. For a better idea of where Claypotts is, you can see Claypotts on the map below. Claypotts is in Perthshire; should you be on the lookout for a special offer, you can find all the special offers in Perthshire. It's always worth checking to see what is on offer at the moment. 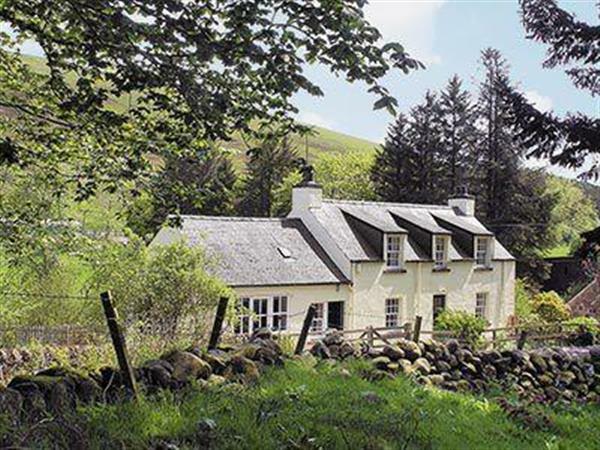 Do you want to holiday near Claypotts (SYH), you can see other cottages within 25 miles of Claypotts; have a look to find your perfect holiday location.